Theo and his half-brother Camillo are both very handsome chimps. Theo is energetic, gregarious and playful- experiencing sanctuary for the first time. 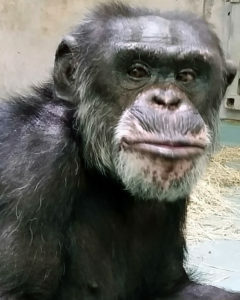 This 23 year old gets jealous of attention given to other chimps and sometimes plays rough. 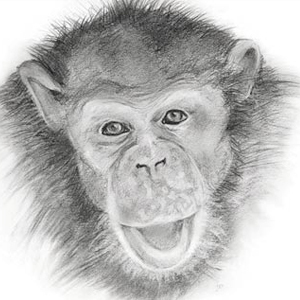 His half-brother Camillo was also retired to Chimp Haven with a grant from the Chimpanzee Sanctuary Fund. Theo was born in the lab in 1991, has a history of early illness and was force fed to maintain his weight. He has had at least 357 separate blood draws and has a history of crying, screaming, and self-mutilation. Theo is a hepatitis C carrier and was held at Texas Biomedical Research Institute until 2016. Join us in making a real difference for chimpanzees in need.